The mission of The Turning is to see people come into a relationship with God from that initial contact on the streets through follow-up and discipleship and settled into the local church. We have seen an incredible openness to the gospel which is the start of this journey; we have also seen a significant proportion of people willingly giving their contact details to be followed up and to begin to be discipled. Once the initial launch has been completed The Turning works with City and Region Turning teams in the ongoing evangelism of the area, training of church members and building unity with pastors. This results in a continual growth in the number of people responding, church members involved and churches working together. 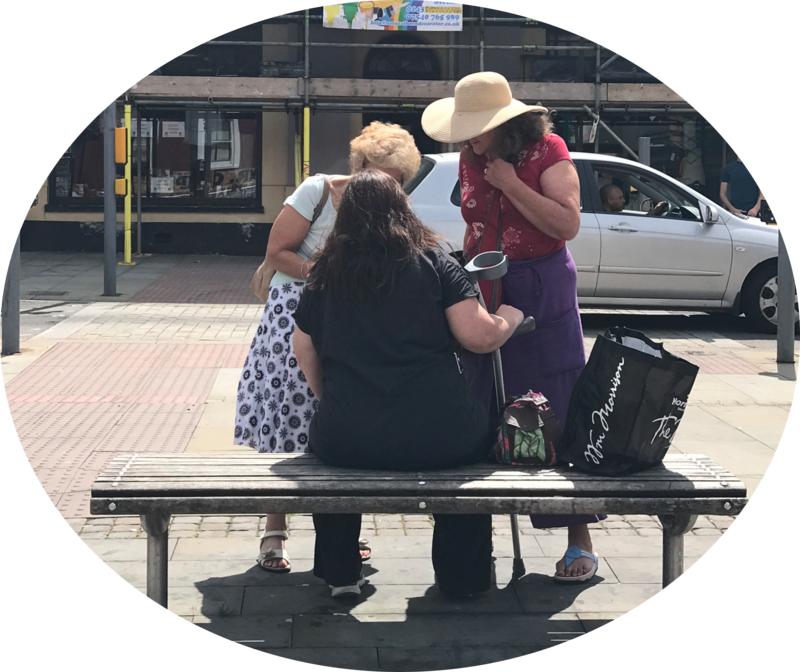 The members of the church develop boldness in their witnessing when they see how simple and easy it is to speak to people on the streets. The spiritual climate within the areas we visit is raised from the openness to hearing the gospel and expectations are raised. The churches in the area become more missional focussed and are expectant to see fruit in their area. Churches work together in a closer unity than they have seen before. Many, many people are introduced to Jesus. 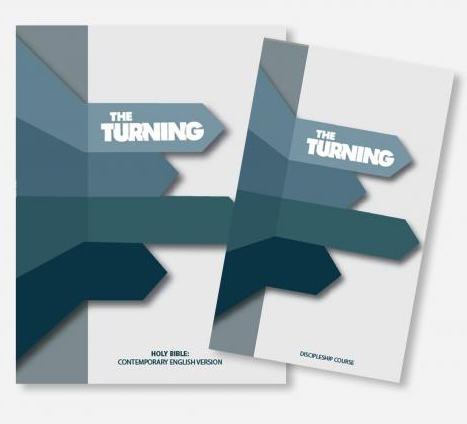 The Turning has been working with the Bible Society to produce resources for the churches to use as part of their follow up. These resources include a discipleship booklet and a bible and are for churches to give to responders when they initially meet for follow up. We have also developed an App on both Android and iOS platforms. 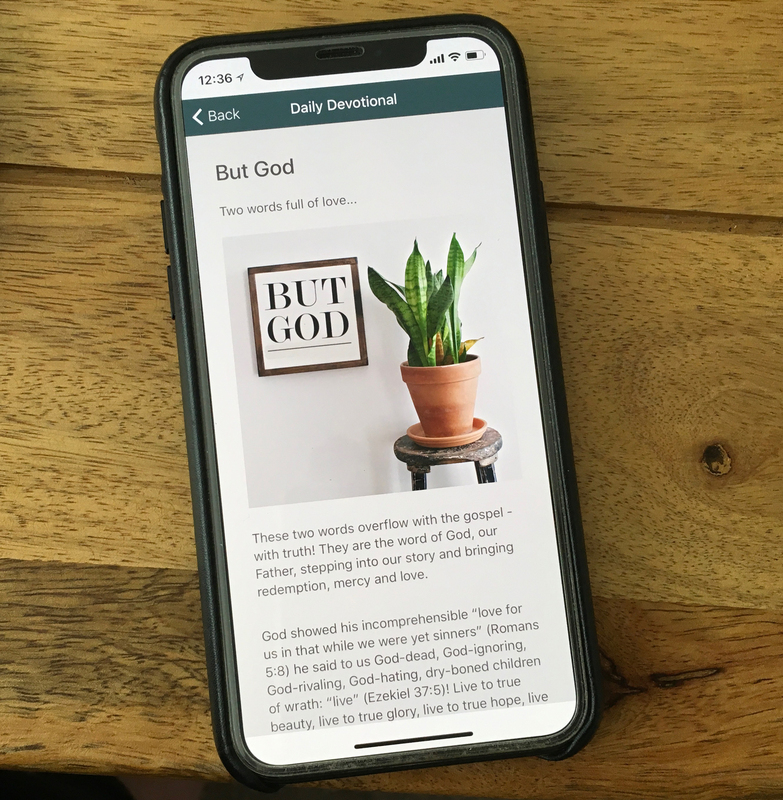 The App is for both Christians and people who have responded on the streets, with different users getting access to different sections of the App. All users will get daily devotions and encouragement, the Bible and national news. Each day everyone will receive a daily devotion that will encourage and strengthen their faith. This will be written by various people whoThe Turning is working with. This means that people who responded will straight away have begun their journey into dicipleship – before they are even met for coffee! This App is giving is the opportunity to bring Truth and Life to every person who downloads it. The App will also enable us to communicate, at both national and local levels, any upcoming events or news that need to be shared. This means that local Hub leaders will be able to keep everyone up to date with what is happening in their area. Not only will the App have Daily Devotions, Verse of the Day, News, Events, Testimonies, a Bible and ability to communicate with the Hub but it will improve upon the ability to collect the information of those who have responded and assigning them for follow up. Those people who are trained are able to safely and securely add people’s information in a GDPR compliant way. If they have been trained in follow-up they will also be able to access the information and update it quickly. The Turning can only continue with the ongoing volunteer, prayer and financial support from organisations and individuals. This has allowed us to develop the web based app, enlarge our reach and develop our team. As we grow our partnership base we will be able to help more and more churches and Christians, in the UK and beyond, reach out effectively into their communities with the gospel. This will enable us to go to more cities and see more people respond on the streets of your town and beyond the UK! There are many towns and cities which we feel God has opened the door for us to come to; where there is unity between the churches and a hunger to see people come to know the love of God. God loves you & has an awesome plan for your life! A number of interesting challenges have emerged around the nature of the Church discipleship and churches ability to respond adequately to the those open to the gospel. The fruit of salvations at The Gate over the last year. The lessons learned from taking it to other cities. One key one being it has been least fruitful where it landed in a para church context rather than a local church unity movement. The impact of the new tools available to help churches succeed with this grace. Conversations with over 1000 pastors (between Jan and may 2017). This review should come out sometime in August. But it should be noted that The Turning team and now many others are of no doubt that God has given a great gift to the church.